Dentistry does not merely focus on providing treatments or services; they also value the safety and comfort of the patients. That is why Sedation dentistry has been developed and used. Sedation is a procedure performed by a dentist to induce the feeling of comfort and calmness to the patient. It is to help them undergo dental treatments without any worries of discomfort or anxiousness. We at Rock Point Family Dentistry understand that despite having a peaceful and comfortable atmosphere, patients can still feel anxious and scared. To help them we provide sedation dentistry options such as Oral conscious, Nitrous oxide, and IV Sedations for their comfort while undergoing dental treatments. Several options are being offered to cater to each patient’s needs. It can either be taken orally, inhaled, or injected depending on several factors to be considered. To guarantee the full safety of the patient's the dentist should be informed of any medications taken and also the medical history. It ensures dentists to pick the best suitable option to avoid any complications during the procedures. Levels of sedation can be adjusted depending on the type, duration, and the number of dental treatments to be performed. For dentists to ensure the patient's overall comfort and safety they can decide and recommend the level which would be best to use. The levels range from minimal, moderate, to deep sedation which leaves the patient awake, in the edge of consciousness or completely unconscious. To guarantee the patient’s safety while undergoing dental procedures their vital signs are carefully monitored to make sure that the treatment is effective and it would not lead to any complications. 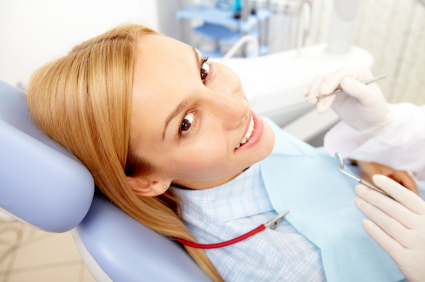 Depending on the type or level of sedation used, the patient may not remember much of the dental procedure performed. Sedation dentistry can help patients in feeling comfortable during dental treatments without triggering their fears or anxiousness. It does not only reduce the negative feelings it can eventually get rid of those to receive all the necessary dental treatments without something getting in the way. Everyone deserves an anxious-free and comfortable dental experience. Avail of our Sedation Dentistry services in Cedar Park, TX. Book your appointment with us at Rock Point Family Dentistry!